A curious, and quite frankly preposterous, question keeps popping up in my mind of late – if I was confined to drinking wines from only one winery for the rest of my life, which one would it be? Current ‘flavours of the month’ include Arianna Occhipinti, COS and Produttori del Barbaresco, but one particular Spanish bodega is never far from the business end of the discussion – Valdespino. There really ain’t no party like a Valdespino party, as my ever growing collection of bottle caps will testify. 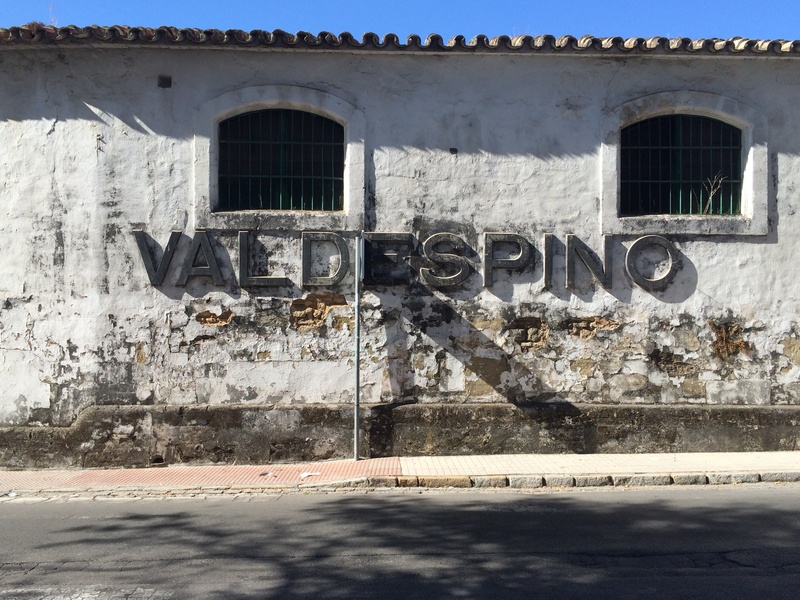 Valdespino is one of the most storied bodegas in Jerez with records of the original family’s winegrowing dating back to the 1200s, with the bodega formally founded in 1875. 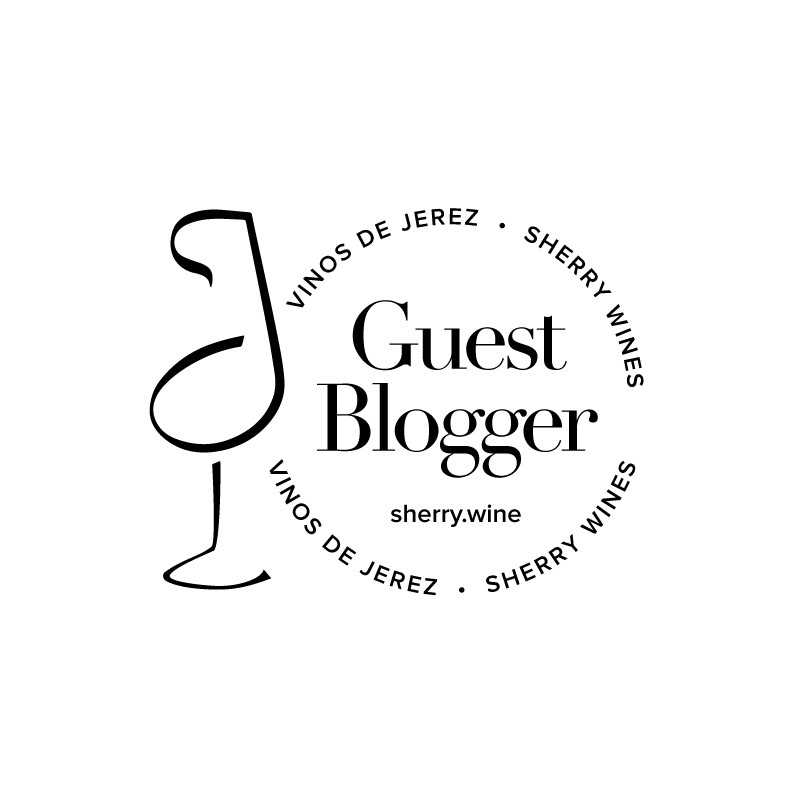 Originally located in buildings in the town centre, which had fallen into significant disrepair, Grupo Estevez, following their purchase of the bodega in 1999, gradually transferred the soleras to an industrial estate on the outskirts of Jerez. 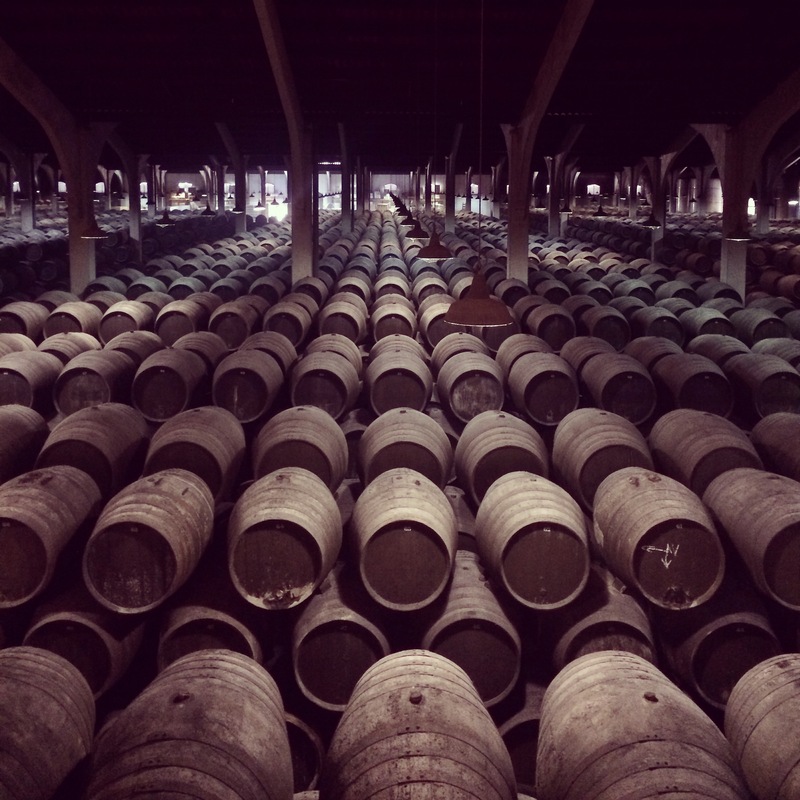 The more modern surroundings cannot dull the breathtaking sense of history when surveying the 25,000 barrels located in the Bodega de mi Madre however, and it’s quite conceivable that you could get lost in the labyrinth of sherry butts. Indeed, I nearly did during my visit last autumn, having slipped away while the larger group took in Grupo Estevez’s extensive art collection. The constant hiss of the overhead vapour spray, providing the required humidity, cuts through the silence and reminds you of one of the modern touches that have been employed to manage an operation of this size. 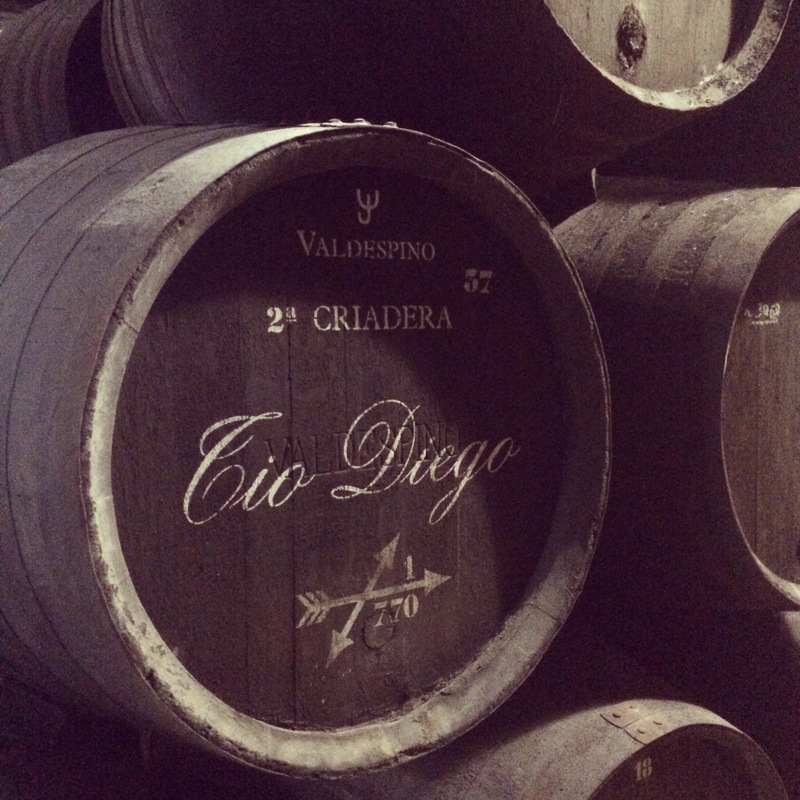 It is often said that a pronounced influence of flor is the hallmark of the Valdespino house style as both their Fino Inocente and Amontillado Tio Diego undergo unusually long periods of biological ageing. This is certainly true, but a cornerstone of much of Valdespino’s quality is surely the bodega’s vineyard holding in Macharnudo Alto – a high elevation site (135m) renowned for its quality and one which is the birthplace of four superb Valdespino single vineyard sherries. Fermented in oak, the wines undergo a period of ageing as sobretablas before the Marcharnudo maze begins. 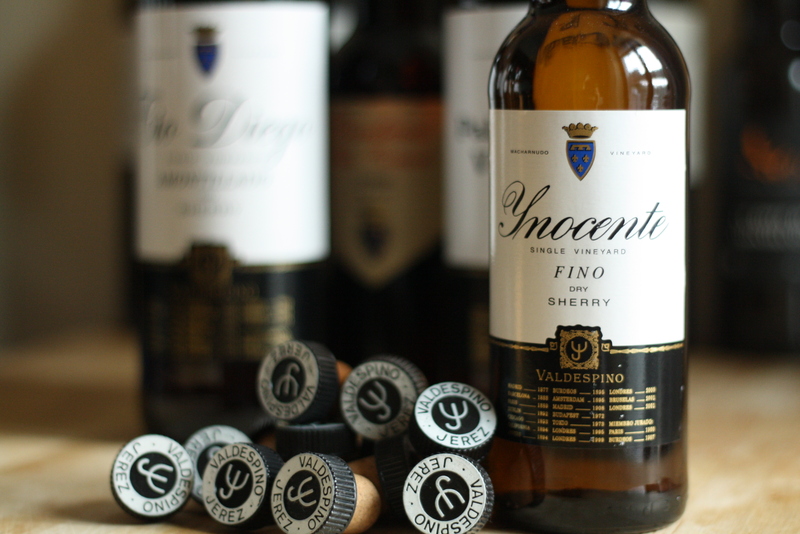 It starts with sherries which to my mind represent two of the best value examples of their style on the market today – Fino Inocente and Amontillado Tio Diego. The solera systems for these wines exist in parallel, both with ten criaderas feeding their soleras. Whereas Inocente ages entirely under flor, Tio Diego ages biologically until it reaches its point of entry to the second criadera where it is then fortified to about 17.5% – 18% alcohol. This ratio of biological and oxidative ageing confers a very distinctive flor character onto Tio Diego. With their average ages of 10 and 14-16 years respectively, Inocente and Tio Diego certainly aren’t your run-of-the-mill entry-level sherries, but instead offer layered and complex expressions of each style. 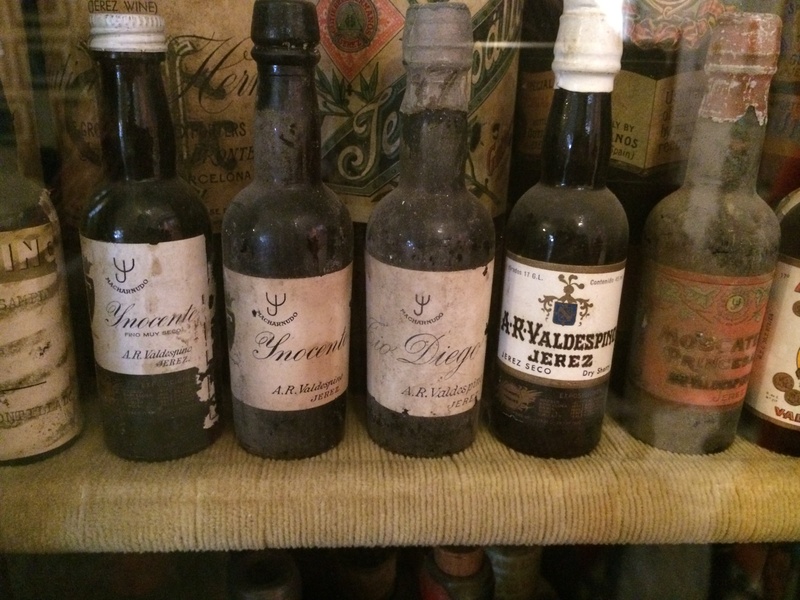 Early in the criaderas of the Inocente and Tio Diego solera systems – the 9th criadera according to Julian Jeffs’ book ‘Sherry’ – the best casks are selected for further fortification and are used to feed the solera system of Palo Cortado Viejo C.P., a sherry named after one of the old bodega sites on Calle Ponce. The Viejo C.P. solera itself refreshes the solera system of Palo Cortado Cardenal, the final solera numbering just six casks of a rare sherry with an average age of approximately 60 years. I’ve yet to taste Cardenal, a bottle lingers in my sherry stash just begging to be opened soon, but Palo Cortado Viejo C.P. 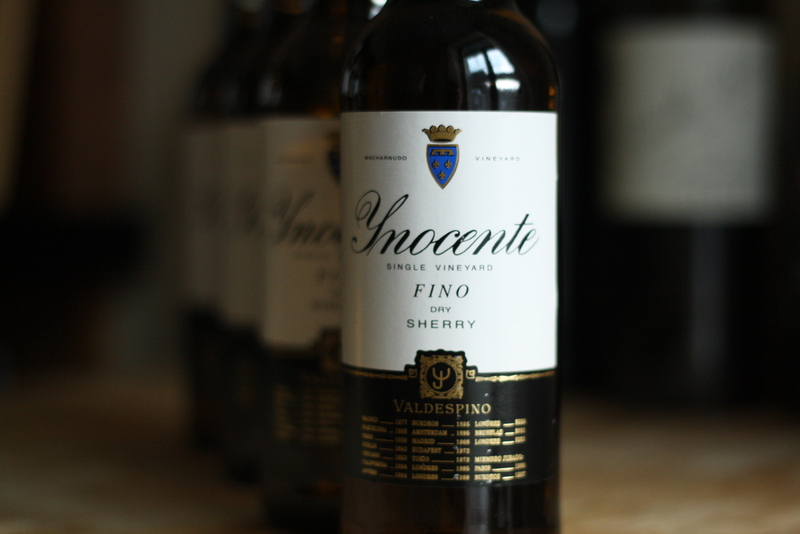 is a stunning sherry at a slightly more affordable price – supremely elegant but still with considerable depth of flavour and an inviting spicy orange peel characteristic. I’ve often thought that a Macharnudo Alto focussed tasting of these sherries along with some of the Equipo Navazos releases from the same vineyard would be fascinating. As with many things sherry though, Peter Liem and Rosemary Gray are blazing a trail and have already held such a dinner – a ‘write-up’ can be found on Brooklynguy’s blog at this link. Of course, amongst 25,000 butts, many other treasures can be found, and it would be remiss of me to write about Valdespino without mentioning some of them, even if the grapes aren’t soured entirely (or in some cases at all) from Macharnudo Alto. 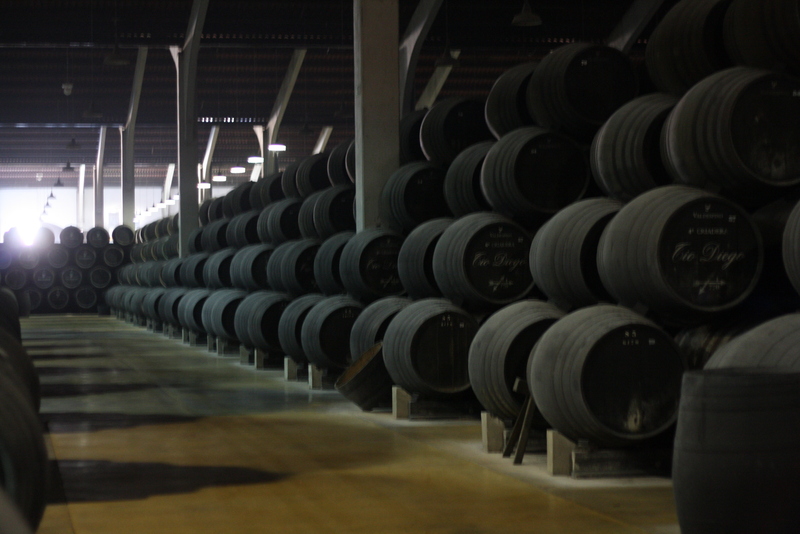 Coliseo Amontillado is widely regarded as one of the finest old amontillados on the market today; its unique character is attributed to a period of ageing as a manzanilla in Sanlúcar before further ageing in Jerez. A series of olorosos are also produced; Solera 1842 receives a dollop of PX before bottling and is more up my street than some of the less nuanced oloroso dulces on the market. 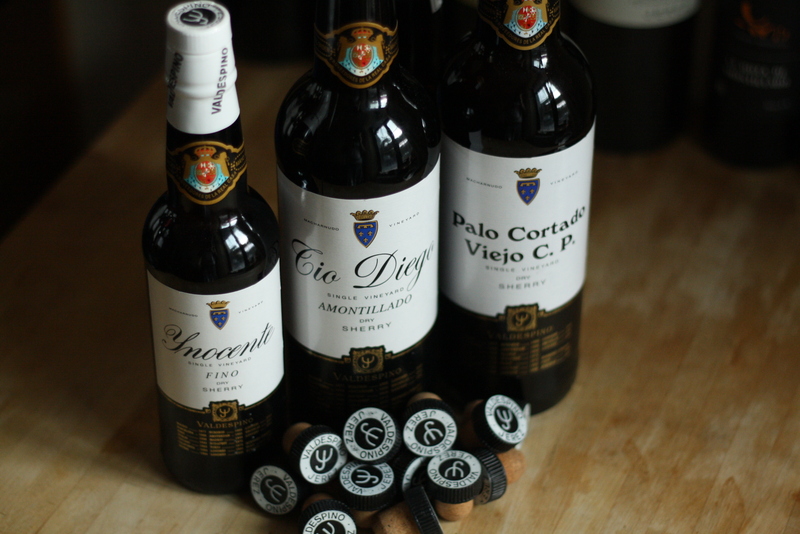 The old Solera de su Majested sits alongside Coliseo and Cardenal in Valdespino’s pantheon of sherry. Perhaps Valdespino’s greatest treasure though is their Moscatel Toneles, an extremely old sweet sherry with only 100 bottles released each year, many of which seem to have been hoovered up in The Wine Advocate’s recent ‘Taste of Greatness’ masterclass in London. 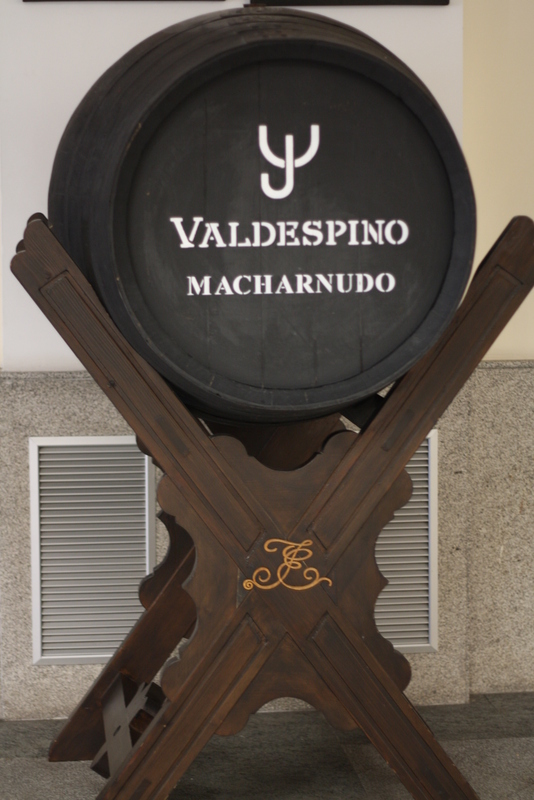 Valdespino sherries are imported in Ireland and the UK by Liberty Wines. The following releases are available in good independent wine shops including The Corkscrew and 64 Wine in Dublin.